Are you a fan of Ever 17 but have serious problems with how the game has aged? 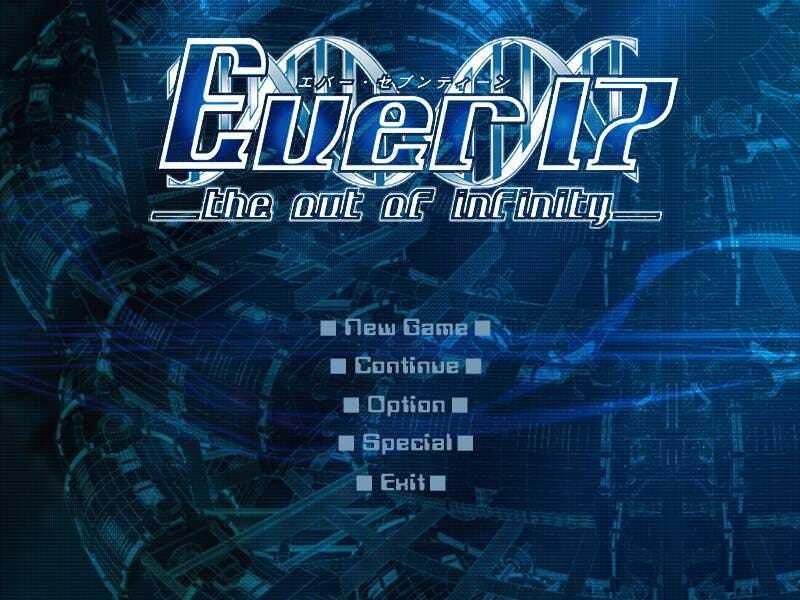 From the nearly glacial skip speed to the questionable translation, the original Hiramaki English release of Ever 17 has some issues that are almost painful in the modern era, but you don’t have to live with these issues any more thanks to the work by dedicated fans in the Rokumei City Discord. 1. The skip in the original games was dependent on FPS - the himmel edition patch increases skip speed by unlocking fps. It’s from 2x to 12x based on your pc, but regardless of what of what pc you have, it’s gonna feel like an order of magnitude faster. Remember, Ever 17 came out in early 2000's, so any modern pc is going to be an order of magnitude faster than what Ever 17 was designed for. 2. There’s a lot of messages that are common between routes, but before, when you skipped them, it would only skip in the same route. Now, you have the option to skip messages that are common between routes. This is a huge timesaver, allowing you to avoid rereading a bunch of overlapping content. 3. When you right click for options, there’s a bunch of changes - Himmel edition allows you to make any changes in the options menu, from the right click, so if you thought the audio was too loud for example, you could change it on the fly instead through right click instead of having to go into the options menu and change it there. 4. More interestingly however, is when you right click, Himmel edition has added a debug menu, which allows you to see a bunch of information that you wouldn’t be able to see otherwise. Most of these might be useful, but there’s definitely one that is incredibly useful. There’s four options - Title display, Text read display, Character status display, and System Status display. Title display allows you to see the title of the section you’re reading, which helps you gauge where you are in the story. Text read display shows you what part of text you’re reading- i’m not sure how useful this’ll be for readers given how it’s shown, but it’s a nice to have. Same with system status display, this shows what file you’re interacting with, probably won’t be useful for most readers. The big quality of life improvement here with this debug menu is the character status display though- it allows you to see your character points. To get to the character route you want and to get the character ending you want, you need to have a specific amount of points. before you’d just have to make a note of how many points you had, but now you have an option to look at it whenever in the game which is a really nice touch that I know I would have appreciated when I originally played through the game. 5. A bunch of quality of life changes - There’s some options to change character names - you and coco can be changed to yu and koko respectively. This change is mostly to clear up confusion that the name “you” can cause, the second one is a preference thing. Himmel edition removed the prompt to save system data, as it just automatically saves when you close the game or return to title. And last but not least for engine changes, the Himmel patch fixed an issue when you click out of the window, the music would stop and restart. There’s some graphical changes that Himmel made that make the game less dated than it originally did. These are self explanatory so I’m just gonna show them to ya. Transparent textbox is now fully transparent with outlined text. There were a lot of script changes to make the game more readable - from fixing typos and grammar, the game flows a lot better now. When letters need to be accented, the Himmel edition includes accents. The game units were originally in metric but were converted to imperial with the English patch - this doesn’t really make sense given that the game’s set in Japan and how the development team loves to play with numbers, so the numbers were moved back to metric. Thank you for reading! If you want to check out more of my writing, check out my blog RockmanDash Reviews, as well as FuwaReviews and AniTAY where I am a contributor. Also follow me on Twitter if interested!